This respected resource is a biographical dictionary of the significant players in the physical, biological and related sciences. Each edition includes biographical entries on approximately 120,000 living scientists, providing birthdate; birthplace; field of specialty; education; honorary degrees; current position; professional and career information; awards; memberships; research information; and addresses for each entrant where available. Explains biological concepts and explores related fields as well as the history of biological science. Discusses critical issues such as embryogenesis and commercial applications of research in biology and addresses ethical issues. Provides information on careers in biology and contains color illustrations, sidebars, bibliographies, timelines, charts, and a glossary. Provides detailed, comprehensive information on a wide range of industries in every realm of American business. Combines a variety of information, including how-to topics in e-commerce and directory listings of companies, services, associations, and government agencies related to e-commerce, to provide the most relevant information and resources. Organized into three sections: how-to topics, directory information, and a listing of the top 250 e-commerce companies worldwide. Also includes rankings by revenue and number of employees for the e-commerce companies listed. The 3rd edition of this comprehensive resource, now published by Gale, provides entries on the physical geography of every country in the world plus other selected locations. Each entry features a relief map depicting the geography of the location plus detailed text that describes its features, climate and vegetation. Entries are formatted with standardized rubrics to facilitate comparison. Includes numerous entries on topics in social science research and practice. Covering all aspects of death and dying -- biological, medical, social, sociological, psychological, religious, and philosophical -- the 2-vol. Macmillan Encyclopedia of Death and Dying also provides a deep historical and cross-cultural perspective through the ages. Contains detailed biographical and bibliographical information on the most-studied authors at the turn of the twenty-first century. More than 1,000 fully-updated entries cover the most influential contemporary writers and their careers through 2004. Provides insight into the careers of nearly 500 20th-century American writers, including black and women writers. Entries include important critical excerpts, chronologically arranged and collected from a wide variety of sources such as books, scholarly journals, general periodicals and newspapers. Features biographies on more than 600 sports figures from around the world and throughout history who have had an impact not only on their sport, but also on the society and culture of their times. Explores the history of piracy from ancient times to the present day. Topics include piracy in antiquity and the Middle Ages, the golden age of piracy in the Caribbean, female pirates, the pirate code of conduct and pirate slang, strongholds and hideouts, ships, weaponry, and sea battles, pirates in literature and film, and modern maritime piracy. Covering the entire spectrum of the literature of the Holocaust era, from the beginnings of Nazism through the concentration camp experience, survivor syndrome and second generation response, this detailed survey includes entries on more than 200 authors and 300 works. Concise discussions of the lives and principal works of short-fiction authors, written by subject experts. Covers writers from the ancient Greeks to 20th-century authors. Includes biographical-bibliographical entries on nearly 500 writers and approximately 550 entries focusing on significant works of world literature. 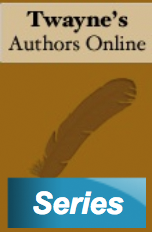 Each author entry provides a detailed overview of the writer's life and works. Work entries cover a particular piece of world literature in detail. 2 volumes. This 4-vol. set illustrates the importance of scientific and mathematical principles through their use in everyday life. Each volume focuses on a specific scientific discipline -- biology, chemistry, earth sciences and physics -- offering students an in-depth understanding of each discipline and its theories. Provides in-depth statistics on social issues with expert analyses. Data is drawn from Federal agencies, newspapers and stock exchanges. 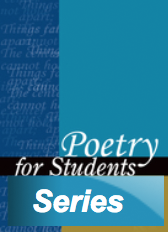 Individual volumes are titled: 1. Work & Leisure; 2. Community & Education; 3. Health & Illness; and 4. Crime & Justice. From the history of space exploration to the future of "space business," this set offers a broad survey of the space sciences. Includes biographies of scientists and the space-related job market. The encyclopedia identifies 150 types of alternative medicine being practiced today, including reflexology, acupressure, acupuncture, chelation therapy, kinesiology, yoga, chiropractic, Feldenkrais, polarity therapy, detoxification, naturopathy, Chinese medicine, biofeedback, Ayurveda and osteopathy. For the practitioner or interested patient, there are current training requirements, listings of organizations, as well as descriptions of treatments. Covers 300 topics on physiology and fitness, including coverage of Healthy People 2010/2020, the nationwide initiative sponsored by the U.S. Department of Health and Human Services to improve the nation's health, as well as topics on diseases and conditions related to fitness. Written especially for patients and allied healthcare students by experts in the field, the Gale Encyclopedia of Surgery provides in-depth coverage of approximately 450 surgical procedures and related topics, such as anesthetics, medications and postoperative care. Entries for surgical procedures follow a consistent format, covering definition; purpose; demographic information; diagnosis/preparation; aftercare; risks; morbidity and mortality rates; alternatives; and more. A comprehensive resource that provides up-to-date bibliographic, biographical and contact information for living authors worldwide who have at least one publication in English. Entries typically include name, pseudonyms, addresses, citizenship, birth date, specialization, career information and a bibliography; includes e-mail addresses where available. Provides first or unique coverage of both domestic and international works of drama from the first decade of the 21st century, featuring in-depth information on around 175 plays and musicals first produced between the years 2000 and 2009. Graphic novels -- novels merging pictures and rich language to create a unique experience of literature and art -- are enjoying a renewed popularity, especially with students and young adults. U·X·L's Graphic Novelists introduces researchers to the authors and illustrators behind these works, taking care to define and explore the distinction between comic books and graphic novels. The almanac presents hundreds of in-depth weather records for 108 major U.S. cities and a climatic overview of the country, including 33 U.S. weather atlas maps. Provides biographical and career details on notable African American individuals, including leaders from sports, the arts, business, religion and other fields. This 3-volume country-by-country survey of educational systems provides detailed essays on the histories, legal foundations, and primary and secondary educational systems of 233 countries. This updated and expanded edition gives users up-to-date coverage of reorganized educational systems and high-interest topics such as technological advances. This comprehensive survey of press and electronic media now covers nearly 200 countries. Arranged alphabetically by country, entries begin with an overview of the background, economic framework and general characteristics of each country's press. Entries then cover the number and type of media, press laws, censorship issues, state-press relations, news agencies, electronic news media, education and training in journalism and much more. An encyclopedic guide to concepts, theories, discoveries and pioneers in the fields of microbiology and immunology, for students and other researchers. Addresses current ethical, legal and social issues with special emphasis given to biological warfare and terrorism. Topical and biographical entries are alphabetically arranged and cross-referenced. Includes photographs and illustrations. 2 volumes.